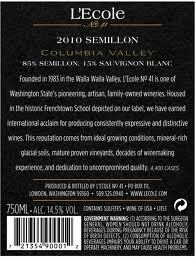 Stemwinder is a chardonnay / sauvignon blanc blend (and we love blends). Great, looking forward to it. Ch-SB blends, particularly in Australia, can be magnificent. This bland, er, blend, was however a huge disappointment. 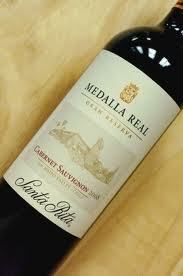 It had none of the balance we anticipate with the marriage of those two grapes and was top heavy in acidity. Tongue bite acidity, as in it virtually stung the palate. Which is too bad because underneath there was the nub of a good wine trying to break through. We swished it around several times—the wine snob Paul McCartney pursed lips mouthwash gargle swish—and it tasted nominally better but never even close to the magic promised on the label (or Road 13’s website which claims you will need a Larousse Gastronomique to decipher the contents. A little high falutin’ we thinks). In the end we corked it and cooked with the leftovers. One redeeming feature: 12.8% alcohol. 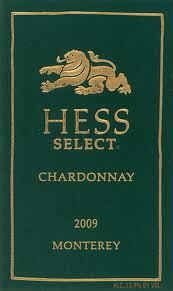 Price: Sale priced at $19.99 at Mud Bay wines, elsewhere $22.99 but for the 2010. Market Liquidity: Not on our radar. There is nothing wrong with this wine; we just didn’t like it much. I was told upon purchase that it was a star over at the Wine Spectator. So goes the subjective world of vini-everything. I’ve drunk a number of Norman’s wines over the years and have never been terribly disappointed so much as just not impressed. In BC they sell at a premium price point too. The 07 GN Shiraz has the bouquet of a classic Shiraz but, as one person put it, tasted shallow. For the price it is completely lacking the depth and layers of its many Oz alternatives. And, unfortunately, a lot of chalk on the finish (or, to borrow from the label, not so supple tannins). Went OK with a BBQ dinner but was quickly corked. Price: $24.99 sale priced at BC Liquor. Market Liquidity: Probably someone else’s go to red. When I lived in Australia in the 80s I spent a fair bit of time in the Hunter and have an affinity for the wines as well as the geography. But that was then; today, the wines of other regions, nowhere more than Western Australia, hold my interest. But sentimentality often draws me back. On a whim I tossed a few bucks at what I was hoping would be a highlight wine. The Stevens turned out be be much lighter than expected, Pinot-ish in fact. It has a long a pleasant finish dominated by cherry and berries. But we found it lacking (pepper? leather? smoke? spice?) what you’d normally expect in a fine Oz Shiraz. Although aged in French oak it was not a distraction; present, not omnipresent. 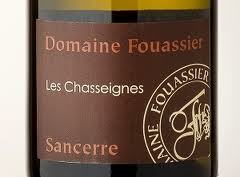 A bit of tartness where the trend is usually to less acidity. 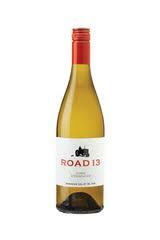 Price: $31.95 “on sale” at BC Liquor; regularly priced $44.95. Market Liquidity: Close, but no cigar. Context is everything. When I went to Petra, for example, I hadn’t seen it in an Indiana Jones movie, or any movie, or read about it, or knew what I was getting into. 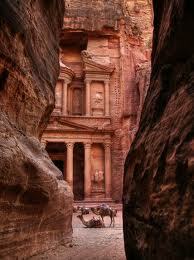 Then you round the corner in a narrow canyon and before you lies the Treasury. It was the proverbial “awesome.” And unlike Giza, which is on the map so to speak, Petra isn’t surrounded by suburbs or littered with vendors like an over-hyped Bordeaux. The Disney Haunted Mansion has its charms, just like a cold beer on a hot day, but Petra has an authenticity. 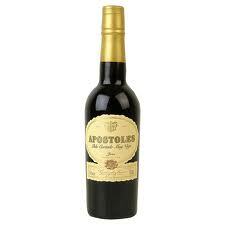 To which I must add, there are no words to explain that feeling I had on discovering Petra just as there are no words to say how exceptional I feel about this Byass Apostoles 30 year old sherry. On its own it might have been different but paired with food it blooms to exception. It is not something prone to wine words or typical descriptives. It really is nectar from the gods. Salt Spring Island (soft) goat cheese: Too subtle and gentle a flavour to stand up to the sherry but OK.
Rembrandt Aged Gouda: Very nice. A bit of a battle between the inherent nuttiness of the cheese and sherry, but good. Tiger Blue (from Poplar Grove, Naramatta): I believe Canada’s best blue cheese and a formidable choice for the sherry. Chevre Fermier (a raw milk firm goat’s cheese from the Pyrenees): Truly nirvana. One guest held up the sherry, the chevre, and a piece of our homemade apple bread (Jim Lahey’s My Bread homemade bread, also exceptional, if you haven’t bought his book I highly recommend it) and asked the gods to package the sensation. Chateau de Bourgogne (a cow triple cream brie): My favourite. All the heavy lusciousness of cheese delineated by the complex depth of the sherry. There was also some chestnut honey, mission fig spread, a few Medjool dates and Duchy oaten biscuits on the plate, but Jim Lahey’s bread, the cheese, the sherry, were sufficient. I honestly can’t imagine a better pairing. This was one of those rare instances where the heights of food and wine artistry married perfectly. There is really nothing more to say about this magnificent wine. As Hugh Johnson has many times pointed out, aged sherry and Madeiras are the best wine values on the planet. 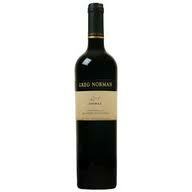 Price: An unfortunately very steep $34.99 for 375 mls. Market Liquidity: In context, worth every last after tax penny. Market Liquidity: Not much more to say. So: Three Valleys. Truthfully, it’s not the best bottle you can get from Ridge. But while it’s not their finest hour it’s good. Damn good. 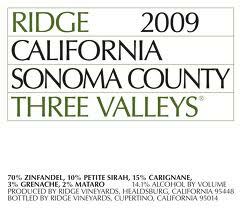 Has the qualities of a good zin and very smooth on the palate but not as “steep” or awe-inspiring as some of Ridge’s heavier hitters. Fruit and oak but not overkill, easy tannins. No majestic cab sauv but still, it stood up to our steaks with panache. Another glass please. Price: Gifted. Couldn’t source in BC as a reference, saw it in Washington for $24 but apparently can be obtained in the US for as little as $16 which, frankly, would make it a phenomenal must have buy. 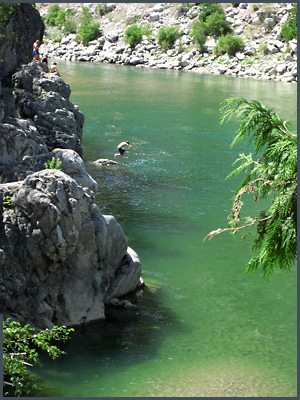 Ridge in BC is rarely under $40. Market Liquidity: When the Occupy movement moves to Ridge count me in. Blurb at the wine store said “90 points Wine Spectator: Ripe and focused, with good cut to the straw, gooseberry and flint notes, followed by a long, defined finish. Very solid.” I would add “a touch steely,” not just a few flint notes. But not brash. Oh, and impeccably wonderful. This was a much needed break from (equally good but totally different) new world SB to that sweet, honey, floral typified by Sancerre—straddling both masculine and feminine sides, something a NZ SB would be hard pressed to do. Metallic on first blush, resist a second sip. There is a whole series of flavours that develop on the palate. It has what I can only describe as an “Alsace finish” by which I mean like so many brilliant Alsace whites it has a finish which comes on slow and lingers, pear, apple, clover honey. Words aren’t required. Only one: Superb. Market Liquidity: Even on sale it’s a fair bit of dough but, oh my, life is too short to save for retirement. Rosy, berry nose, rich red colour, dark cigar shop on the palate, pleasing on so many levels but a long chalky finish ruins a lot of that initial exuberance. We decanted without improvement. It was exceptionally versatile food-wise, shone through even with an ad-hoc Mark Bittman NYT carrot soup and coleslaw, and lost a little of the “tongue paste” feel. On sale it’s worth getting a doz, yes, but pales in comparison to many similar reds from Oz. A great weeknight red. Price: On sale at BC Liquor for $19.99, regularly $22.99. I am waiting for L’Ecole to let me down. One day we’ll argue, I know we will, but if I can get this fling with this virtuoso vineyard to last I will. First, Plenty of Fish/Facebook/MySpace/e-Harmony/friend me someone to drink semillon with. What’s that? Don’t like that “tongue down the barrel of a shotgun” minerality? No surprise. I’ve been drinking semillon alone for years and years (dry, the Aussie Hunter Valley sort, not the Sauternes sort, but that is superb too and for a different post). Good luck in finding a sommelier who stocks a decent bottle. Can’t some Silicon Valley whiz-kid develop an algorithm to find one person left in the world who likes dry semillon? It does feel a bit like Moses in the wilderness, albeit without any followers. Price: $15.99 in Washington; I have yet to source it in BC. Market Liquidity: Marry me L’Ecole. A most fine BC red. That said, a little bit much on the descriptive label: “Discover dark cherry, plum, smoky black pepper, blackberry and ripe plum.” Plum, yes, we got it. We didn’t get plum, unripe plum and then ripe plum, or any variation on multiple plums. At the price point, however, it’s one more example of how the best BC wines, almost always over $30, are hard pressed to justify that price when compared with much better wines from Chile, NZ, SA and Aus under $30. And I mean well under $30. I would drink this again in a flash, and might even buy it, but I don’t throw $30 at a bottle with aplomb, plum be damned. Price: $35 at private liquor stores. Market Liquidity: Are you kidding me? Look: If you must spend your money then you must buy this.